Crystal Shivling is a unique and excellent spiritual product. 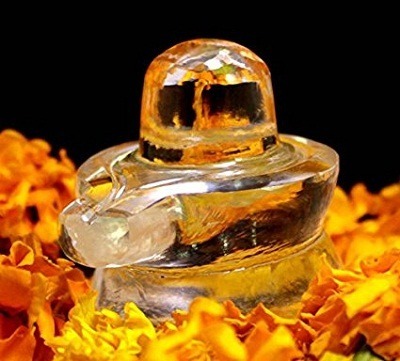 Crystal Shivlinga is a protector of life. Out of all the Shivalinga, the Shivalinga made of crystal is considered best and most auspicious for you. Crystal Shivalinga is very auspicious to protect you from all types of misfortune which include black magic, and tantra. It creates a positive environment and removes negative energy. This Shivlinga protects you from the evil eye, and black magic. You can keep this Shivlinga in your home and office to remove negative energy and to bring positive vibes around your environment. You can use Shivlinga for meditation. It has been proved that if you place this crystal Shivlinga in your home, office, and workplace you will be protected from any evil eye and positive energy will prevail around you. Shivlinga is also used for puja, meditation and chakra balancing as it catches the light and reflects beautiful rainbows. Where should you place Vaastu crystal Shivling? For finance and good flow of money, place this in your cash locker. Keeping this crystal under full moonlight gives immense benefit. Keep it in a cotton pouch, if not in use. Try to keep this Vaastu crystal Shivlinga clean and shiny. Avoid any dust particles to accumulate in it. You can use it for puja and meditation. It is beneficial as it provides mental balance in life. Crystal Shivling provides financial stability and good profits in the business. Crystal Shivling removes all diseases, hyper temper problem and bad luck. Crystal Shivling gives psychic power and brings emotional stability. Crystal Shivling brings prosperity, growth and success in life. It solves all major health problems and cures incurable diseases. Crystal Shivlinga should be placed in the North direction. The snake established on it should face the person, who is performing the puja. Nobody should cross the Shivlinga, so make sure to place it in a good and appropriate place. Lingam should be carefully bathed with a clean hand. Wipe it with a clean cloth and apply herbal perfume over it followed by saffron sandalwood paste. Now the Lingam can be put on the jalhari. Pure incense, along with dry fruits and sugar candy should be offered to the Shivlinga.